As a wedding planner I often attend venue visits either with or on behalf of couples that I am working with. Whilst there are many obvious questions that should be discussed with any venue that you are considering booking for your special occasion, there are also a number of less obvious but still important questions that should be addressed before you make that final decision. It is becoming increasingly common for wedding venues to either request that children do not attend your wedding, or that the number of children attending are kept below a figure suggested by the venue. Whilst some couples may welcome the fact that they can use this as an excuse not to extend the invitation to include children, other couples who are looking to host a family friendly celebration may find that this restriction forces them to discount a venue immediately. Most venues will be able to offer disabled access, often providing ramps and disabled washroom facilities on the ground floor. However, you should also check whether or not they offer disabled access to every part of the venue. It is important to remember that sometimes you have to revert to plan B on your wedding day. If this means bringing your outdoor ceremony inside can disabled guests access the part of the venue where the ceremony would be held. Some couples discount looking into disabled access as their guests do not require such facilities. However, remember that most weddings are booked around 18 months in advance so guests needs could change throughout this time. This is a very important question to ask a venue as their minimum guest requirement clause could have a major impact on your budget. Equally, the maximum guest number restriction could force you to rule out a venue if they can not accommodate your full guest list. Typically, a venue will request that a minimum number of daytime guests attend your wedding. In addition to this some venues may also ask that you invite a further additional amount of evening guests. Generally venues will impose a maximum number of guests due to room sizes. Perhaps not the most obvious question to ask a wedding venue. However, if you have your heart set on a six piece band entertaining your guests throughout your evening reception, then this is most definitely a question that should be asked. I hope that you have found this short list of questions helpful. If you are planning a wedding or special celebration and require guidance please take a look at my website where you will find the selection of planning packages that I offer. If you do not see a service that suits your requirements then please do contact me to discuss a bespoke package. The above are all great things to ask that couples don’t often think about. 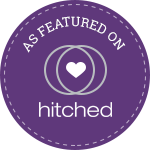 Something else that we always advise our couples now is to ask their venues about their recommended or suggested suppliers lists before using them to find their other suppliers. Sadly, so many venues now charge suppliers for a spot on their lists that genuine recommendations don’t even exist at some venues anymore. Others charge suppliers a % fee for shooting at the venue if a couple booked based on a recommendation from them. It’s so important to have a genuine recommendation and not one that has been bought I feel. Many couples aren’t aware of this and appreciate the insight. Thank you so much for taking the time to comment on my post. I agree, this can be the case with wedding venues and like you say many couples may not be aware. I actually follow the UKAWP code of ethics and do not accept commission from any supplier that I recommend. Instead, I chose to suggest suppliers based on their expertise and how well I feel that their style is suited to each client that I am working with, which is how I believe it should be.